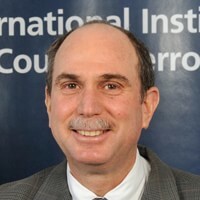 Dr. Joseph Draznin Served in the Policy and Political-Military Affairs Bureau at Israel's Ministry of Defense and was the Ministry representative at Israel Embassy in Washington, Dc between 1999 to 2004. Dr. Draznin received his dissertation from the University of Maryland. The dissertation explored the relations between the mass media and terrorist organization and focused on the News coverage of terrorism from the media perspectives. Areas of expertise: Relations between Mass Media and Terrorism, The Media and Palestinian Terrorism, Media during wartime and military conflicts, US- Israel Strategic Cooperation and Relations.